Super cute moon charm engraved with "I love you to the moon and back" and accented with an acrylic gold glitter star charm! Hangs from a sturdy 1" split ring attached to a large lobster claw for convenience. 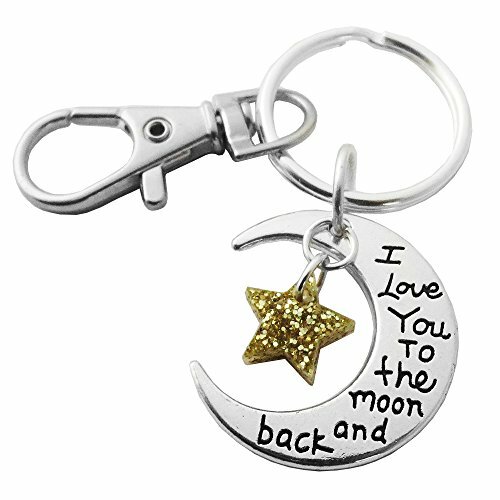 Super cute moon charm, engraved with "I love you to the moon and back"